Care homes aren’t right for everybody and many people don’t want to go into a care home. Find out 3 key reasons you are right to seek alternative care in later life. Care homes are the most common form of later life care here in the UK, and yet many of us don’t want to go into them if we lose the ability to care for ourselves, a massive 97% of us actually, according to statistics. You may already feel strongly that you don’t want to go into a care home, or you may think that it’s a worrying time but it will be fine once you are settled in. Perhaps you’re simply in denial about needing care. While all care homes are different and some better than others, actually, you might be right not to want to go into residential care. Being handed food and drink that you have no choice over in terms of what it is and when it is served, does not contribute to happiness and general well-being. Even more worrying, is the statistic that 37% of those in residential or nursing homes never leave their care settings – even if they are able to. Life enjoyment has a lot to do with visiting friends and family, getting out to do hobbies, and generally seeing the world. This is an isolating and depressing experience that nobody would choose. Mental health is another major consideration which can become a problem when a person is taken away from all they know and love and placed somewhere they feel they have lost their independence. 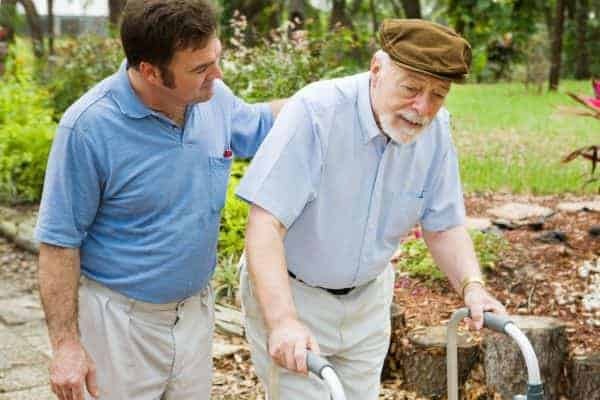 Many people assume that residential care is the cheapest care option, usually because there is government help available for those who do not have a large amount of capital to pay for care. The truth is it can be the cheapest option for some, but not everyone. 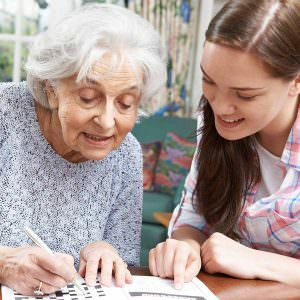 If you really don’t want to go into residential care it is worth looking into alternatives like visiting carers or live-in care. Live-in care can compare favourably to residential care not only in costs, but in many other aspects like happiness and life-satisfaction. At the very least it is certainly worth checking out costs to see how your care needs could be met in a better and more cost-effective way by live-in care. Nobody should ever feel forced into a type of care they don’t want and many people don’t want to go into a care home. The key to ensuring your later-life is content and within your control is to start planning as early as possible. The sooner you have the research and processes in place for when you do eventually need some help, the more able you will be to enjoy your life now, and look forward to the adventures to come during the next stage. I have seen so many people deteriorate on their move into a care home. This has mainly been because they have had to say goodbye to their life long home and community. If only more people knew about live in care…. too right – who would want to go and live somewhere else? Some interesting points! It’s important for everyone to get to live their fullest life! Hi, completely agree with Aaryanna. It’s frightening how quickly people’s whole wellbeing can deteriorate in a residential setting. It might be right for some but definitely not everyone! Regarding health, I’m sure I read somewhere that those in care homes are 3 times more likely to suffer from serious injury due to a fall compared with those who have live-in care.